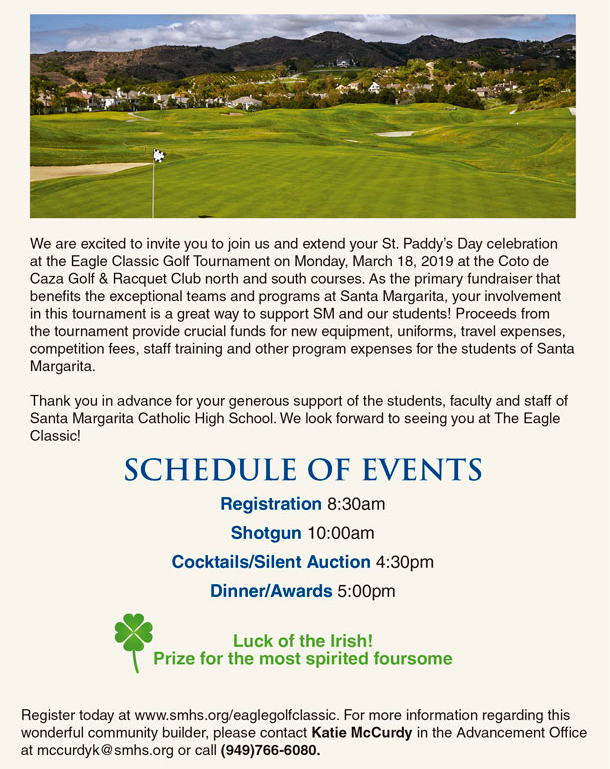 We look forward to seeing everyone on Monday, March 18 at Coto de Caza Golf & Racquet Club. 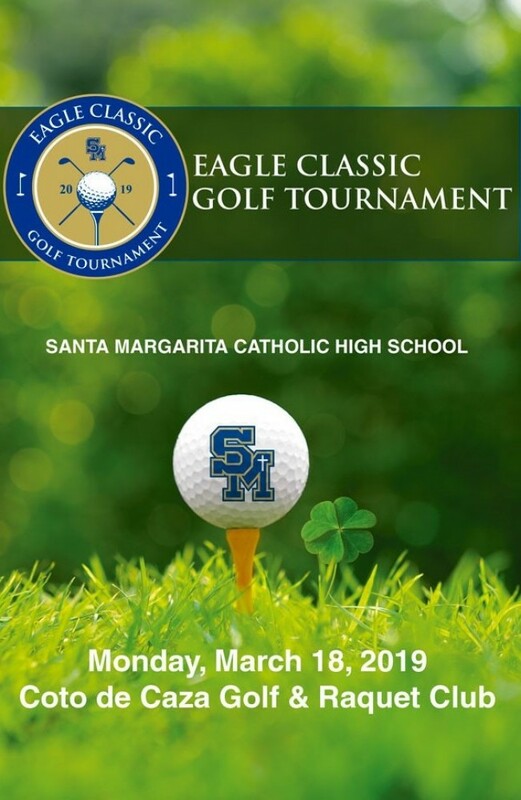 As the primary fundraiser that benefits the exceptional teams and programs at Santa Margarita, your involvement in this tournament is a great way to support SM and our students! Proceeds from the tournament provide crucial funds for new equipment, uniforms, travel expenses, competition fees, staff training and other program expenses for the exceptional teams and programs at Santa Margarita. Once again, this tournament promises to be a great day of golf and fun as we bring everyone together to benefit the many teams and programs that our students are involved in at Santa Margarita. If you have any questions please contact Katie McCurdy in the Advancement Office at mccurdyk@smhs.org.